When Will Market Researchers Tame 'Big Data'? 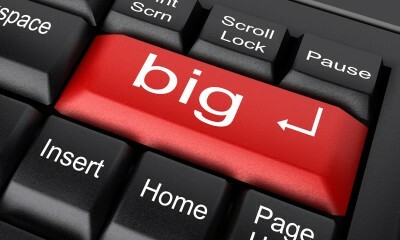 Last year "Big Data" emerged as a topic of awe in the popular press and became a savvy talking point. But beyond the conventional wisdom that is taking shape, market research experts who have long practiced data-collection and big data analytics -- if on a smaller scale -- are questioning if this will be the year that the ‘firehose of data’ directly impacts their field. Even big data healthcare companies are wrestling with the implications of utilizing the vast amounts of information available to them. Immense amounts of constantly flowing digital information that generates daily from consumers (By one estimate the amount of digital information generated across the globe daily is considered to be about 2.5 quintillion bytes, the rough equivalent to digitizing every printed document on archive at the Library of Congress). Huge increases in digital data storage capacity. Large amounts of processing power needed to manage, analyze, and categorize the vast amounts of data. For instance, the market research firm Gartner expects that in 2013 Big Data will drive $28 billion in IT spending worldwide and $34 billion in 2014. The untold millions worth of Tweets, Facebook posts, 'Likes,' GPS directional commands, video posts, and other social media interactions that take place daily worldwide create fodder for the 'fire hose' that adds to the stream of digital information collectively now known as Big Data. Yet, as market researchers confront the era of Big Data, it is time to ask key questions about its usability, its potential to affect how they do their work -- and how it impacts the customers who purchase their work. Google, of course, is a major player in the Big Data landscape but smart business-owners know that accurate, reliable market research tailored to their specific needs requires far more specificity and targeting than the search engine giant can provide. More pointedly, market researchers have been trying to identify the best methods for using the immense amounts of consumer information that is now collected at lightning speed by sophisticated algorithms within increasingly powerful computer programs. Our analysts produce reports that put much-needed perimeters on the behemoth data-sets that are gushing forth from companies like Acxiom and flooding across industries including energy, medical device manufacturing, technology and consumer goods. How will industry-leading corporations streamline Big Data? How will mid-sized companies decide which aspects of Big Data best suits their market research needs? Can small businesses afford to access and analyze Big Data as part of their market research? What is becoming clearer is that for all businesses, this vast, amazing new wealth of consumer- and market-oriented data can improve their bottom lines. We provide useful frameworks for those interested in learning how Big Data will impact their marketing research decisions and budgets; we're learning how to tame the beast, as shown with 2012-2016 forecast report, "Global Big Data-as-a-service Market:"
Global Big Data-as-a-Service market [is expected] to grow at a CAGR of 68.93 percent over the period 2012-2016. One of the key factors contributing to this market growth is the demand for cost-effective big data solutions. The Global Big Data-as-a-Service market has also been witnessing the emergence of healthcare data-as-a-service. However, the data privacy and security issues could pose a challenge to the growth of this market. In addition, we're learning that some industries have already been heavily impacted by Big Data, in particular healthcare and medical IT, according to MarketResearch.com's experts. But while big data healthcare companies such as UnitedHealth and Kaiser have financial resources to allow them to play around with Big Data until a manageable, efficient set of methodologies and best practices are formed, how might mid-sized companies and small business begin accessing and using these streams of data? How for example might a 50 year-old regional theater company with 100 employees and limited financial resources access and use Big Data to enhance its marketing, promotions, IT functions? Can it afford the services of one of the third party Big Data processing entities identified by our specialists? Small business owners, especially, may have limited resources for investing in traditional marketing research, making the prospect of allocating even more dollars to access Big Data potentially prohibitive. There are many unanswered questions about where Big Data will fit within the market research needs of many industries, in particular for mid-sized and small companies. In Part Two, we'll look at ways that mid-sized companies can access Big Data to begin building a solid foundation for growth. We're here to help demystify this vast and exciting new world of consumer insights and market intelligence. For more information on the market research industry and using market research to help your organization achieve success, download our free eBook.